4 I persecuted this Way to death, binding both men and women and delivering them to prison. 5 Even the high priest and the whole council of elders can testify on my behalf. For from them I even received letters to the brothers and set out for Damascus to bring back to Jerusalem in chains for punishment those there as well. 6 “On that journey as I drew near to Damascus, about noon a great light from the sky suddenly shone around me. 9 My companions saw the light but did not hear the voice of the one who spoke to me. 13 came to me and stood there and said, ‘Saul, my brother, regain your sight.’ And at that very moment I regained my sight and saw him. 19 But I replied, ‘Lord, they themselves know that from synagogue to synagogue I used to imprison and beat those who believed in you. 24 the cohort commander ordered him to be brought into the compound and gave instruction that he be interrogated under the lash to determine the reason why they were making such an outcry against him. 27 Then the commander came and said to him, “Tell me, are you a Roman citizen?” “Yes,” he answered. 29 At once those who were going to interrogate him backed away from him, and the commander became alarmed when he realized that he was a Roman citizen and that he had had him bound. 30 The next day, wishing to determine the truth about why he was being accused by the Jews, he freed him and ordered the chief priests and the whole Sanhedrin to convene. Then he brought Paul down and made him stand before them. 1 [1-21] Paul’s first defense speech is presented to the Jerusalem crowds. 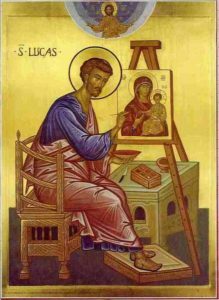 Luke here presents Paul as a devout Jew (⇒ Acts 22:3) and zealous persecutor of the Christian community (⇒ Acts 22:4-5), and then recounts the conversion of Paul for the second time in Acts (see the note on ⇒ Acts 9:1-19). 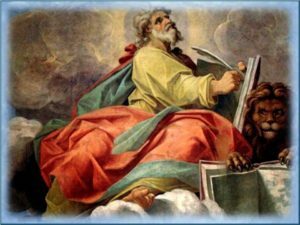 4  Paul’s suggestion that his prophetic mission to the Gentiles did not involve his imposing the law on them provokes the same opposition as occurred in Pisidian Antioch (⇒ Acts 13:45).